Greenwood Village, Colorado, – zvelo, the leading provider of contextual categorization and malicious detection services, has hired Eric Watkins to be their new Senior Malicious Detection Researcher. Watkins is a veteran in the fight against the malicious web and brings 20 years of experience from the Information Security and IT arena. As zvelo’s Senior Malicious Detection Researcher, Watkins will leverage his deep knowledge in Information Security by utilizing his extensive background in research, engineering and IT security architecture. 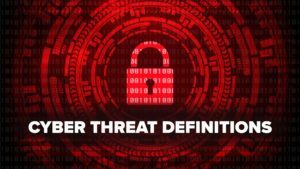 Additionally, his unique perspective in penetration testing and IT security audit experience to validate website threat vectors will further enhance zvelo’s malicious detection services. His diverse networking and cross-platform security system implementation skills will allow the company to continue offering the industry’s best-of-breed solutions. Watkins joins zvelo at a time of continued growth for the company with recent significant milestones achieved, including $2.75 million in funding, the launch of its Ad Tech product, zveloSHIELD™, and has zveloLOGIC™, it’s most recent effort, coming out of beta later this month..
As the proven market leader for content and contextual categorization, as well as malicious and botnet detection, zvelo is the trusted partner for the market’s preeminent ad tech, network security, and mobile subscriber analytics vendors. zvelo solves a diverse range of client business needs including brand safety, web filtering, contextual targeting, subscriber analytics and ad fraud prevention. The processing power, accuracy, coverage and speed of zvelo technology delivers the fastest real-time updates available today. zvelo http://www.zvelo.com is headquartered in Greenwood Village, Colorado with offices in the Philippines, Spain, and Florida. You can follow them on twitter: @zvelo. For more information, contact James Barker at press.zvelo.com. If you’d like more information about this topic, or to schedule an interview, please contact James Barker at (720) 897-8113 or email: [email protected].